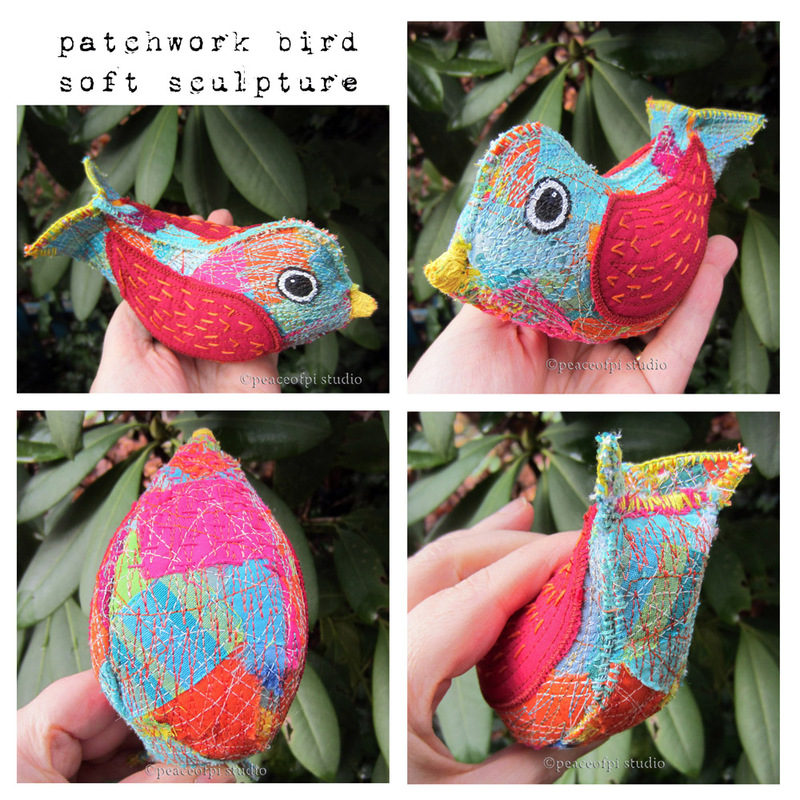 Sewn by both hand and machine, two bird soft sculptures with patchwork bodies. Full of texture and colour, this bird softie is in shades of turquoise, pink, orange, green and yellow with a raw edge patchwork body and red wings. The patchwork is heavily embellished with colourful free-motion embroidery stitching in shades of blue, orange, pink and red creating a new rustic durable surface. The red wings feature feathery hand embroidery stitches in orange. 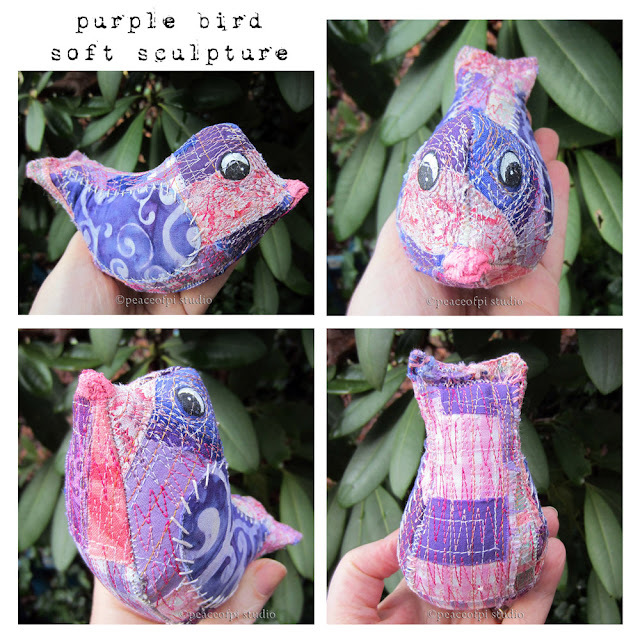 The body of this purple bird softie is created from a patchwork of fabrics with raw edges exposed creating frayed edges and loose threads. In shades of crayon purple and pink with violet purple wings, this art doll has a pouty pink beak. Sewing, stuffing and embellishing these birds requires hours of craftswomanship and there is joy in every stitch. 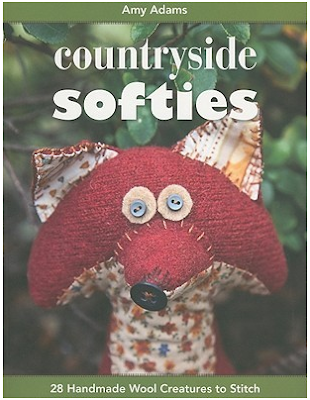 Make your own softies with instruction and inspiration from Countryside Softies by Amy Adams and Little Birds by Design Collective. Combining wool and fabric, Countryside Softies is project based, with full patterns and instructions for 28 creatures, each with a distinctly British sensibility. Delightful! 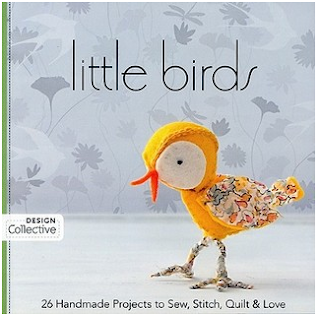 With beginner friendly and more advanced projects, Little Birds is a cuuute book with 26 projects to "Sew, Stitch, Quilt & Love" from a variety of makers (including 2 from Amy Adams). The book will appeal to quilters, sewists and lovers of cute. Check out one or both of these books and make your own soft sculpture friends!